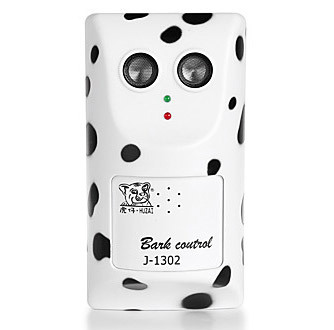 Ultrasonic 'Tiger Cub' Dog Bark Control J-1302 Review – Does It Work? What Is The J-1302 Bark Control Device? What do people think of this product? This is an ultrasonic bark control device that you can attach to the wall anywhere in the house or outdoors in an undercover spot. The idea is that it lets off an ultrasonic sound when the dog barks – a sound that the dog (and other nearby animals including cats) can hear, but not the humans of the house. This sort of bark deterrence is certainly nothing new, with ultrasonic being one of the most widespread methods available. The J-1302 does however come in at a lower price point than a lot of other similar name brand ultrasonic devices out there. Is it any different from the more popular and well known products, or will this low cost option work just as well? The J-1302 “Tiger Cub” is designed to activate via a sensor when a dog barks within its range. It then emits a sound on the ultrasonic frequency for about 5 seconds. The idea is to disrupt the dog from barking with a sudden unpleasant, but not harmful, sound. This is also meant to deter future barking as the dog comes to connect his bark with this sound – this is the premise behind all sound or motivation activated anti-barking products. 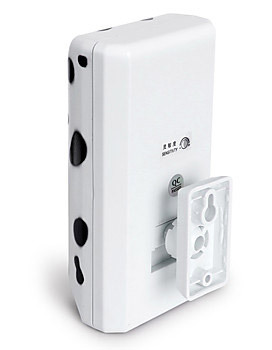 The device comes with a wall mount kit which requires you to drill a few holes wherever you want to mount it. This might not be to everyone’s taste and you can certainly use the device without mounting it to a wall; as long as it’s placed somewhere convenient to an electrical outlet as it runs on a power cable and not on batteries like most other ultrasonic anti-bark products. Once the device is mounted to the wall, it can be rotated to point towards the best direction – if you think you’ll know where you’re dog is likely to bark from. Note: you may need a power adapter to use the power cord in some countries as it is supplied with an EU style plug. One of the unique features of this device is that it only activates after it registers 3 dog barks. It does not set off only after one bark. This can help with false alarms or having the ultrasonic sound go off every time the dog barks one time, where it might not be needed. There are mixed reviews and comments being shared about the J-1302. Interesting to note that there has been one or two mentions of young people being able to hear the ultrasonic sound (younger human ears are more sensitive and can pick up a broader spectrum of sounds than adults). This is something to keep in mind if you have kids or teenagers in the house; but this could certainly also be an issue with any other ultrasonic device as well. As this is made by a company in China, there doesn’t seem to be an English-speaking customer support contact. At such a low cost for the device, most people will be happy to give it a go and probably not make a big deal out of trying to contact support. But it’s something to keep in mind if you’re someone who does like to have a way of contacting the manufacturer or distributor. This bark deterrent device uses a power cable rather than batteries. This could be a pro or a con depending on your preferences. It saves money in the long run on batteries, but will also restrict where you can put the device. The device is made from plastic. It’s not waterproof, and it goes without saying that since it also uses electricity for its power supply, it can’t be put in a spot where it will be exposed to rain or any water. This won’t be an issue for people who just want to use it indoors or in an enclosed patio area. The J-1302 is available from AliExpress, which is a China-based online retailer that tends to have very low prices (and free shipping to a lot of countries). Alternatively, it can also be bought at Amazon from third party sellers. There are countless other ultrasonic anti-barking devices available, which we are in the process of publishing guides and reviews about. This includes the popular bird house designs, as well as handheld ultrasonic products and those with remote controls. These more advanced products generally cost more, but as is so often the case, you generally get what you pay for. As a bark deterrent for small areas, this device is a good cost effective option. With it’s short range of only about 2m though, it’s not the product to use if you’re wanting to stop the neighbor’s dog barking. It’s made for use in the home and where it can be reliably placed near where a dog regularly barks, rather than being used as a portable device. If you do need something more portable or with more range, then the other options above are more suited. I came to know about this device from my friend, and he insisted me to take such device to make myself release from the problem of dog barking which I was having for a long time. 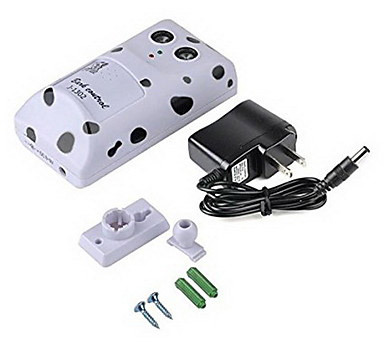 But after using this ultrasonic dog bark controller, really it has helped me of barking problem. Can this devisce be put outside in winter? Hi Melissa, different things will affect when the unit activates unfortunately, such as distance of the barking from the unit, how loud the dog bars, any background noise and so on. So it won’t always be 3 barks every time that activates it. I do not have this unit on me currently, but as far as I could tell there was not a way to adjust sensitivity on this bark controller. It’s one of the lowest cost ones available so doesn’t have the more advanced features that you find on some of the other products out there. I have recently purchased this ultrasonic bark controller tiger cub for my little chihuahua. It’s constantly barking with all the noise coming from outside especially at night. After installing I’ve noticed the device not activation when my dog barks, maybe my dog’s barking is too soft? For the machine to be activated?? When I bark at the device it turns on after one bark not three like it says on the instruction. I can and my 10yr son can both hear the sound very clearly and what I was wondering is on the back of the device, there is a small hole with sestivity sticker with + — . I have looked in side but there was no dial. Do you know how to make it bit sensitive? If you do please let me know how and it would be greatly appreciated.